In early 2009, I knew I wanted to live in Medellin, but before I could settle down, I had to head for the coast to experience Colombia's largest Carnaval celebration. 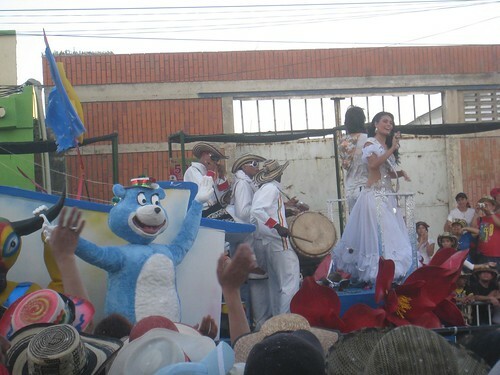 Having never been to New Orleans for Mardi Gras or Brazil for Carnaval, I went on a mission to experience similar festivities in Shakira's home town of Barranquilla. I quickly met up with a motley crew of Europeans and Australians, and we hit the parades and street parties for two days straight. Love to read your post. Carnival’s are best place to immerse yourself in the pool of merrymaking. Even Kerala, the southernmost state of India also offers such opportunity of enjoyment.